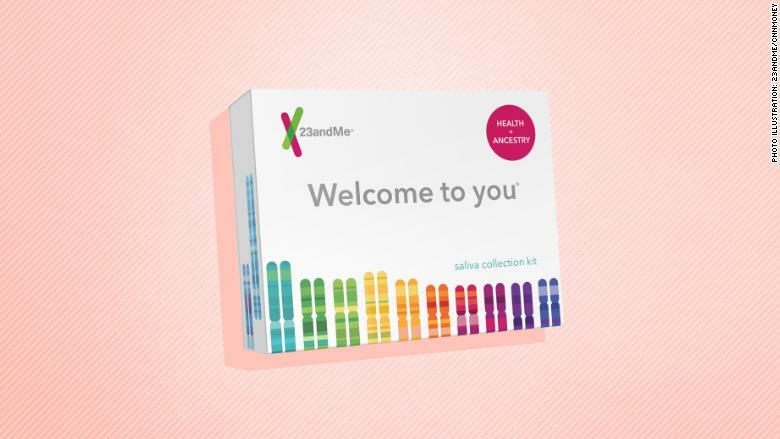 Genetic testing company 23andMe has been given federal approval to sell at-home kits that test for three breast cancer gene mutations. This will be the first direct-to-consumer DNA test for these particular breast cancer gene mutations, the Food and Drug Administration said on Tuesday. A spokeswoman for 23andMe said the test for the three BRCA1/BRCA2 breast cancer gene mutations will be added "in the coming weeks" to the broader Health + Ancestry services, with no increase to the existing $199 cost. The test can only detect three out of more than 1,000 known BRCA mutations, according to the FDA. The BRCA1/BRCA2 hereditary mutations occur in about 2% of Ashkenazi Jewish women, but rarely occur in anyone else, the agency said in a press release. "The test also does not provide information on a person's overall risk of developing any type of cancer," the FDA added. 23sandMe already tests for genetic health risks for diseases like Parkinson's and Alzheimer's, along with wellness reports for things like lactose intolerance and saturated fat, and ancestral composition including Neanderthal ancestry. In 2013, the FDA ordered the company to stop sales of its home-testing kits, saying the Alphabet (GOOG)-backed company had failed to prove the validity of its product. Anne Wojcicki, who founded the company in 2006, called the FDA shutdown a "transformative moment" that prompted 23andMe to branch into drug development. "Thank you to the FDA for hard work and progress on innovation," she tweeted on Tuesday. In 2015, 23andMe received approval from the FDA to test customers for whether they are carriers of certain disease-carrying genes that could be passed on to their children. In early 2017, the company received approval to issue genetic health risk reports. In September of last year, the company said it received $250 million in funding from Sequoia Capital to develop drugs based on user DNA.